“This is the spirit in which we embark upon Ignatian contemplations. Through the simple childlike use of our fantasy we attain a truth far beyond fantasy, the truth of mystery, the truth of the mystics.” —Anthony de Mello in Sadhana: A Way to God (Image Books, 1978). De Mello offers many awareness exercises enabling us to know and feel the presence of Christ, especially in prayer. In one exercise, we imagine that Jesus is sitting in an empty chair beside us. He reminds us that we can start our prayer in our head. But our prayers will become stale and dry if we do not move to our senses and heart—out of a place of thinking and talking into a place of feeling, sensing, loving, and intuiting. De Mello suggests Ignatian contemplation to help us become a part of a scene from Christ’s life, in order to enhance our reading of Scripture and our prayer life. He reminds us of others who experienced God using Ignatian contemplation. Francis of Assisi in contemplation took Jesus down from the cross and knew his Lord was no longer dead. Teresa of Avila felt closest to Christ when she was present with him as he agonized in the garden. Ignatius of Loyola became a servant accompanying Mary and Joseph to Bethlehem. Learning how to enter into the truth of the mystics can transform our own experience of living in God’s presence. 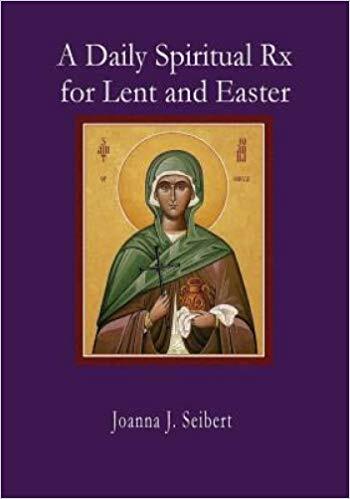 Purchase a copy of a Spiritual Rx for Lent and Easter from me joannaseibert@me.com, Wordsworth Books in Little Rock or on Amazon. Proceeds go for Hurricane relief in the Diocese of the Central Gulf Coast.